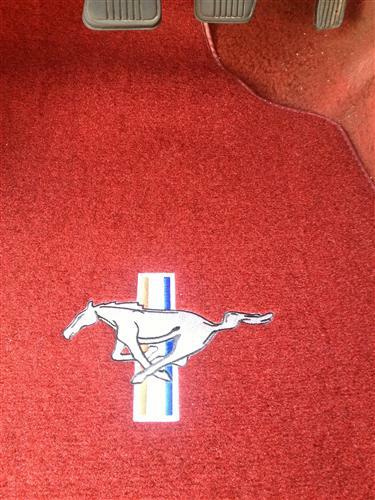 Update your Mustangs heritage with a set of 1982-1992 Mustang Medium/Scarlet Red Floor Mats with the Tri-Bar Pony logo from ACC! 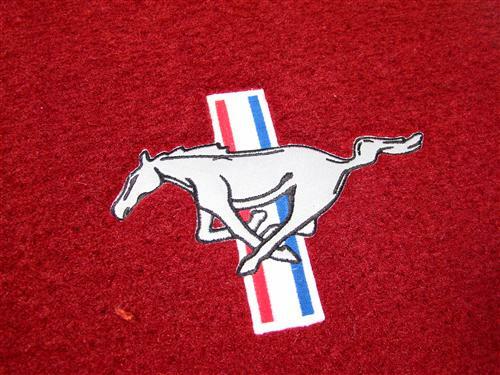 Auto Custom Carpet is the world's leading manufacturer of Mustang floor mats. 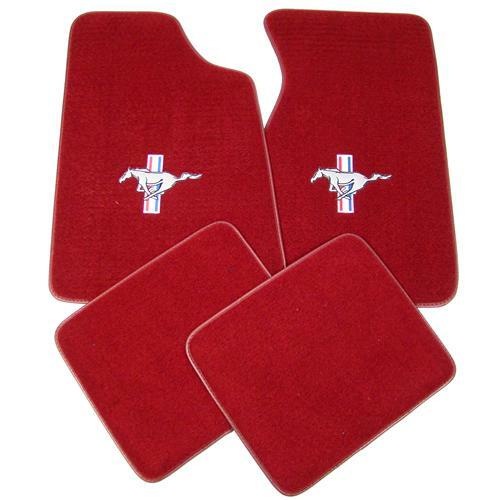 We are proud to offer such high quality floormats for your Ford Mustang. 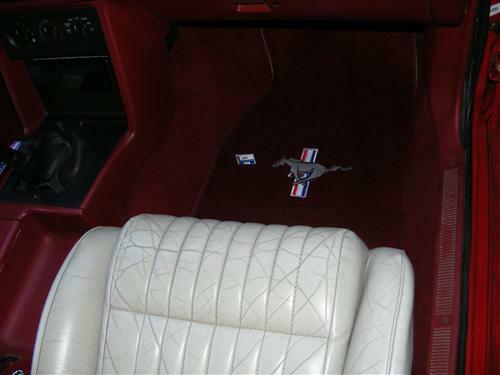 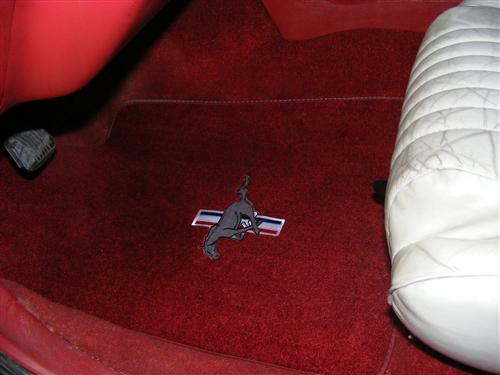 All floor mats are made by Auto Custom Carpet to match the Mustang replacement carpet that we also offer. 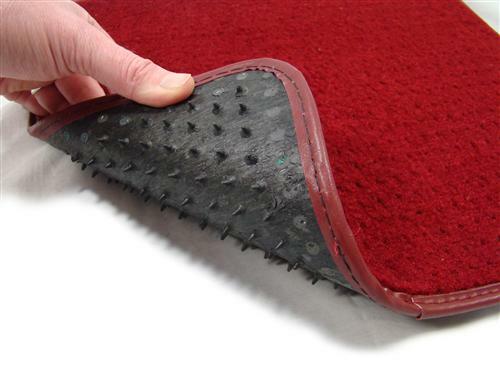 Die cut like original to ensure a perfect fit and finish and made of long lasting cut pile carpet with vinyl trim.